for renewable energy production . 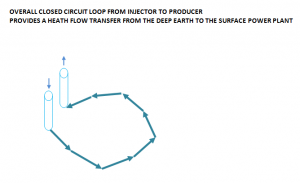 The new system creates a close loop circuit flow in deep subsurface formations which can be further extended for hunderds of kilometers to reach the planned efficiency. This system will capture the natural thermal flow of the earth irradiating upwards from the earth mantel. 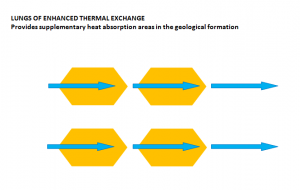 Thermodynamic model “ TD phase 2” is ready, confirming the efficiency of these systems and the potential to produce electric power / heating solutions in almost every geological situation. Realizing local projects, avoids the necessity of extremely expensive air or underground transport power lines, which are devastating for the natural environment. 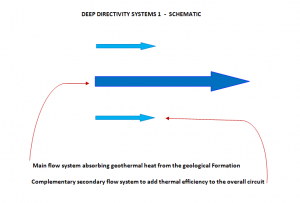 DDS_1 Deep Geothermal as the only right solution for renewable energy. 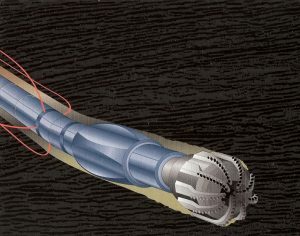 Actual concepts of renewable energy solutions (Wind, Solar, Biomass) failed to consider the fact that humans live in a 2D (two-dimensional) environment. Classical renewable energy system subtract expensive and precious space on the surface of the earth to nature, forests and human environment increasing their effective costs. This fact for instance increases the real costs of Windenergy of a factor 3, higher than officially reported. LEAVING THE SPACE FOR MEN AND NATURE INTACT. will cost about (costs effective after the project): 18 Billions Euro ( 18.000.000.000 € ). 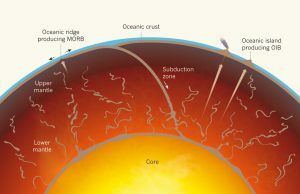 With the same amount about 2100 MWatt DDS deep geothermal energy can be produced. Example 2. Windturbines must be in a minimal 2000 meters distance ray from the next residential area. of the turbine, tower and powerlines. In Germany there are about (in 2016) 27200 Windturbines. 27.200 x 16.000.000 = 435.200.000.000 € . 100% clean and ecological-friendly geothermal power. which can disturb the life rythm for hypersensitive individuals. is a very serious concern. The consequences may not be apparent on the first instance. communication, health systems will be affected. accepted solution proposed by the industry in a urgent situation of finding imminent solutions. Every technology subtracting 2D land to the ecosystem and to the human environment is a failed technology introducing destructive elements in the ecosystem and human environment.